It's often the smallest spaces in our homes that get shortchanged. Speaking for all of the tiny quarters out there, it's high time that we banish that theory and give them the style they deserve. Here are five clever ideas to get you started. A bronze light fixture with an outdoor influence highlights the bold-framed mirror. Next time you're in a home-improvement store, check out the indoor and outdoor lighting aisles. You'll find great looks without ponying up a lot of dough. 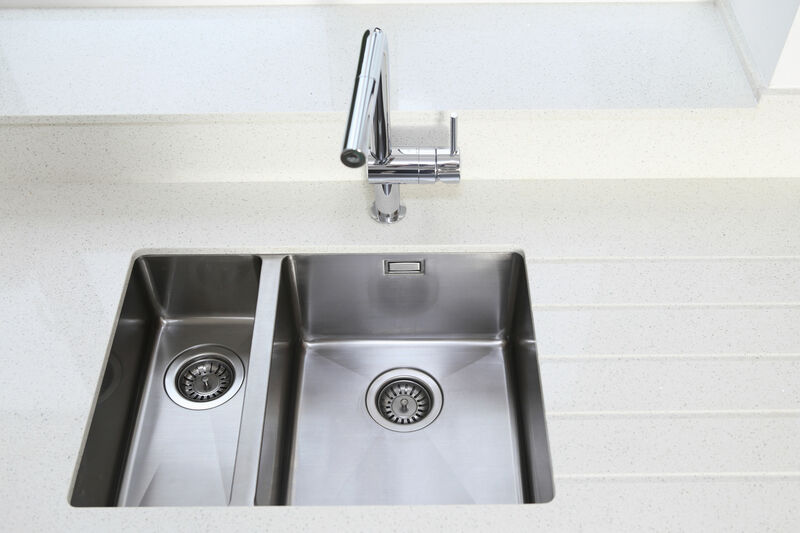 Pedestal sinks are ideal in small baths because they take up less space visually than a cabinet. However, a shortage of storage often makes them less appealing. Builder Chris Fisher of Tulsa, Oklahoma, placed two small drawers on either side of this sink. The drawers are both functional and pretty. They are painted the same color as the walls, while the trimwork is stained chocolate like the ledge above. A tile countertop mimics the flooring. Breaking up wallspace with tile or wood adds interest. Here, wood paneling covers two-thirds of the wall. A gray wash finish is paired with a deeper chocolate-stained ledge for a rustic look; the ledge holds accessories. Instead of a neutral hue, try a more festive tone in a small space. This shade of terra-cotta blends nicely with the wood in the room. The window helps keep the space from looking too dark. When going bold with color, always test it out first. Buy a sample, and see how it works on a small area of the wall. Remember, light can change the look of the paint throughout the day.